Islimi is Islamic biomorphic design. We will be working on the ‘Hatayi’ style which is based on stylized plant motifs. 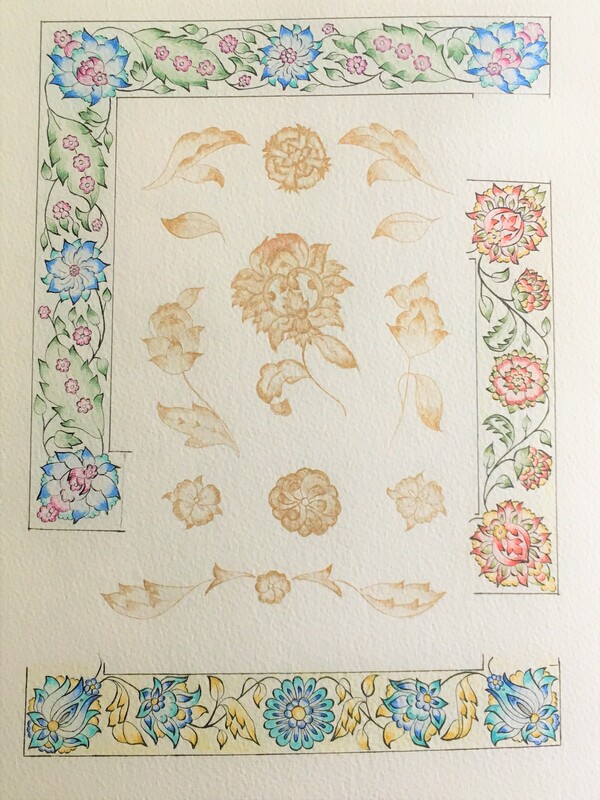 These can be used for a full or a partial border design or as a single motif on a piece of work. They are infinitely variable and simple to draw. (Think ‘doodling’) We will begin by exploring individual leaf and flower motifs before uniting them in a complete design. We will then look at two different methods of adding colour during the second part of the day. Come prepared for a day of fun ! The funeral service for Ann Camp will be held on Friday 26th April at 1.00pm at St Edward the Confessor Roman Catholic Church, 700 Finchley Road, Golders Green, London NW11 7NE. It will be followed by the brief committal at Golders Green crematorium at 62 Hoop Lane, Golders Green, London NW11 7NL. The family would be grateful to have an idea of numbers attending, so for those wishing to come, please let Elizabeth Campbell (elizabeth@peaceworks.co.uk) or Alma Swan (honsec@calligraphyonline.org) know. 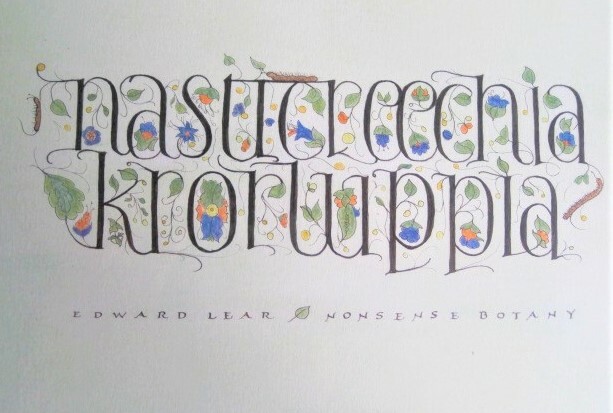 Oxford Scribes shared an album. 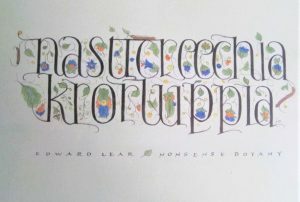 ANN CAMP, author and calligraphy teacher has just passed away at age 94. 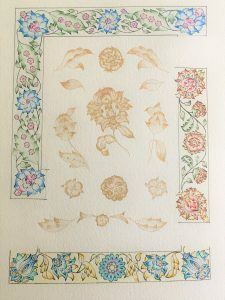 SSI Chairman Julie Chaney says, "Ann was considered to be one of the foremost teachers of calligraphy in Britain and so many of those who studied under her have themselves gone on to become Fellows of the SSI. One of her notable achievements that many of us are familiar with, is her classic book 'Pen Lettering'. A full obituary of her life and work will be published later this year." Ann's funeral will be in London in 2 - 3 week's time. If any students of Ann's would like to attend the funeral please do get in touch with Elizabeth Campbell (elizabeth@peaceworks.co.uk) or Alma Swan (honsec@calligraphyonline.org). Calligraphy was such a major part of Ann's life, and I'm sure she'd be absolutely delighted if some of her old students could attend. Phew! It's been a long day but the exhibition at Wells Museum is up. 90-plus pieces had to be ready by museum closing time so Marion McKenzie Jan Mehigan and I wore ourselves out but got there. Manny Ling apparently did it all by himself at the Sunderland venue so he's a miracle worker!